By Sneaker Con Digital Inc. Developer: Sneaker Con Digital Inc. Sneaker Con has made it easier and safer than ever to buy and sell the most sought after footwear on the market. 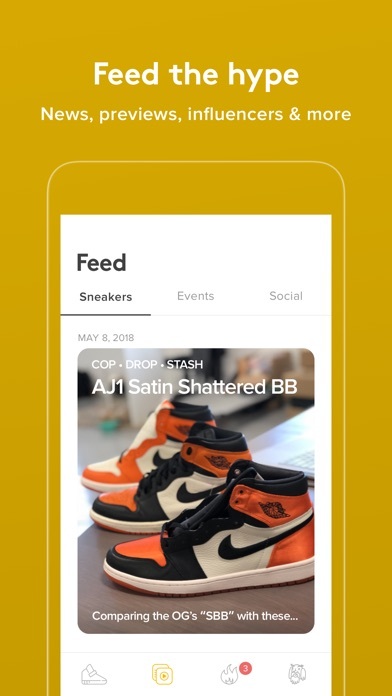 The content Feed will keep you informed on upcoming releases, product reviews, and everything going on in the culture. With the LEGIT Tags you won't ever have to worry about authenticity again. 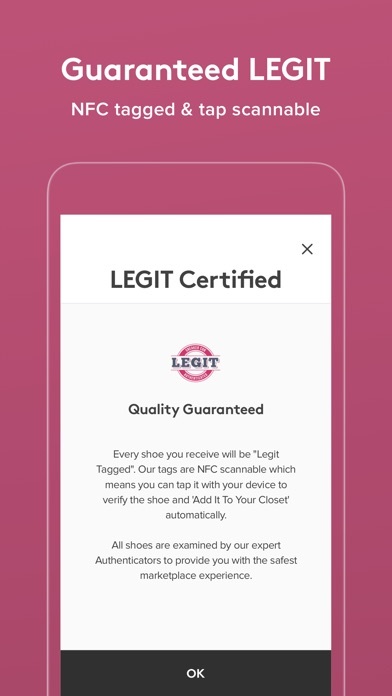 Each shoe you purchase comes with an NFC tag you can interact with. Tap it to find out all of the details of the authentic shoe as well as adding it to your collection and/or marketplace. 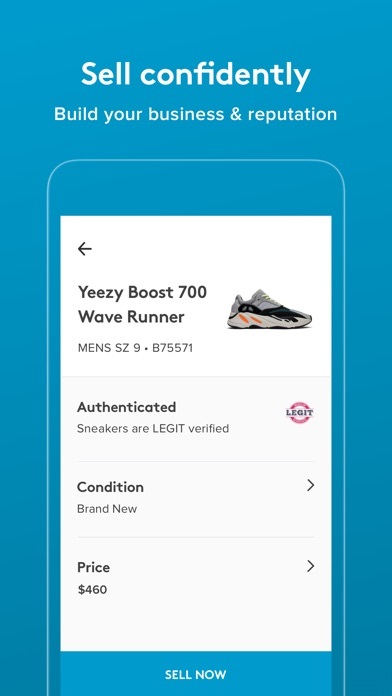 Sellers are given the tools to create successful businesses on the platform while making it the safest place for buyers to source the sneakers they want. You won't have to shop for sneakers anywhere else. I recently sold a pair of Retro 12 Wolf Greys and they have completely sent to the orderer. I have tried withdrawing 5 times and every time was declined. Finally, I am certain I used the correct information for the transaction. I honestly want to try this app. But I am very confused as to how to create an account. I don’t know which button to press and it’s getting me very confused. If somebody could please respond to this and help me out on all the details to logging in that would be very helpful! Thanks! I have done a lot of business through this app and I really have no complaints! Anytime I have an issue customer service reply’s very fast and has no problem fixing anything I may need fixed or any questions that need answered.... I honestly recommend the app! I ordered some yeezy 350 v2 butters and it said they would be here today but come to find out it said it had been delivered to Elmhurst, New York. I was confused because I live in Perrysburg, Ohio. I want my shoes that I paid $287 for this is outrageous!!! Doesn’t let me crest an account. Really easy to use. Then best sneaker app so far. 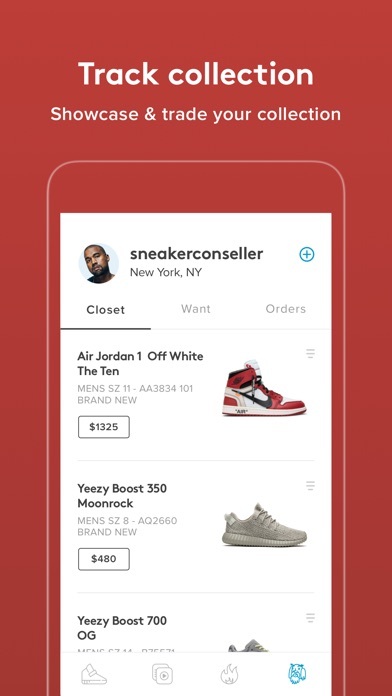 Quality app for selling, trading , and buying sneakers. It Always keeps me up to date on new shoes going around. Just overall a good product. I ordered some Jordan the seller didn’t shipped the shoe and sneaker con said they well refund my money but it didn’t got Rufunded yet. How long it take get my money back ? Shoes come with a box without the lid. Guys were really really helpful. They answer all my questions. They shipped my shoe really really fast. I just love it. This app is legit. And their customer service is next level. I purchased the off white prestos through them and received a text message after the legit check with additional photos! They are great at updating you every step of the way. I HIGHLY RECOMMEND this app. I won’t be using this application until it is fixed. I have tried listening several pairs of shoes over the last few days, nothing but error messages every time. I appreciate the idea of being able to sell used because no other site has that option besides eBay (which I don’t trust). Please fix this! Could be a great application. Edit: Wonderful! So after the application told me multiple times there were errors, I wake up to an email that says “Just sold!” Honestly, I had already deleted the application and listed them on eBay. Good thing I’m able to cancel the eBay listing. I’ll give it 5 stars once my transaction is complete. Great app! Very easy to use & great prices! Best App!! Shop and get Legit Checks. They have really great contents! 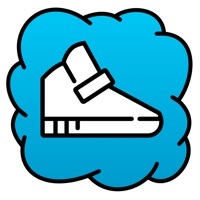 The app is easy to use and a great paltform to sell and buy sneakers with piece of mind. Their fees are better than their peers and the interface is simple to use. But what puts them ahead of their competition is the amazing team and the service and quick response you get when you reach out. I feel comfortable doing business using the app and I know that when needed, I'll obtain the service and feedback from the sneakercon team. The human touch is the main difference in this case, and you can find any sneaker needed to complete your collection. Five stars all the way! I ordered yeezy zebra size 5 for a steal price but until now, I haven’t gotten any information about the process and shipping! Where are my shoes?!?! I recently just ordered a pair of Jordan 1 Royals for $200 and they came in perfect condition. The app has very nice features and a great team that backs it up. I will be doing more purchases soon. Fast cheating and you easily find yourself some steals like I did. Reliable app with wide ranging options and decent prices. I would recommend the app to anyone who loves sneaker culture. The sneakercon app is by far the best place to buy shoes. They have the best prices and that peace of mind they give me knowing the shoes I’m purchasing are legit is priceless. One of the best ways to obtain limited sneakers after their release. They ensure authenticity which is great and they allow people to see prices in a comfortable interface! All of my shoes have been authenticated and it is a great place to sell. The sneaker con app provides great prices and an over all amazing place to buy sneakers, not only that it is a great learning place as well. Great people and company overall! Never have had any problems with them at all! And I think thy are more legit than stock x! Don’t hesitate to do business with these good people!! Sneakercon best app for sneakers and copping legit for all sneakers! So dope, for buying and selling!!! 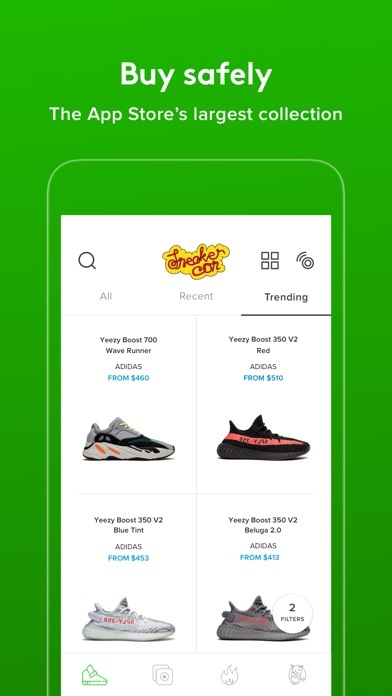 The sneaker con app is a very great app to use when browsing for shoes. Like Goat sneaker con legit checks any shoes to make sure you’re not getting a fake pair. This app is also very easy to use and you can find a variety of shoes for great prices. Over all I think this app is great and I hope to continue using it in the future.